Brain Gym: worthwhile or wasteful? the ones making the claim, it falls upon them to argue the point. Unfortunately, Brain Gym International has backed away from this. Why? They are now sending requests for information on what Local Authorities are paying for the training, to cover teachers absent for that training and other costs, using the Freedom of Information Act to attempt to retrieve that information. I have to say that I've never been on a course and have only dipped into the accompanying book. I am taken aback, however, at the allegiance shown by some of my teacher friends to this programme, which, as David suggests, is more pseudoscience than robustly researched routines to boost brain power. Yup, the exercises of Brain Gym do sometimes get your class more concentrated on the task in hand for a short period of time. Does it matter if the company make claims that it boosts attainment without any scientigic terms to justify themselves? Or is this, as Katie and David suggest, something a little uncanny which public money should not be sponsoring? I've never been quite sure what brain gym is, but I was recently relating to a teacher some of the physical exercises recommended by a psychologist to help my son, then just diagnosed (by said psychologist) as having ADD, to refocus when he was drifting off task. These were faithfully delivered to his teacher, who tried them out, not only with my son, but with the whole class, and declared them highly effective. The teacher to whom I was relating this story said wisely, "Ah yes, brain gym." Is that what it is? The idea was to get the kids up from their desks and have them do slow knee raises, touching right hand to left ankle and vice versa, then repeat to the back - right hand to left foot and vice versa. I've used the same method on occasion to help my sons to regain their equilibrium and/or focus when doing long and difficult homework problems. I have always assumed that it worked because it gave them a break from cerebral to physical, got the blood going a bit, got them standing and breathing more deeply for a bit. Then, refreshed, back into the fray. PS - I have since become a non-believer in the existence of ADD as an affliction in general and, most particularly, in my son being a "sufferer". I've seen this debate before over at Bad Science, and I just want to make a few comments to avoid misunderstandings. We are not against physical activity, and we don't want to throw the baby out with the bathwater. 1) What justifies the expense of specialized trainers and materials for the use of 26 trademarked activities? Why not simply provide generic low-impact directed physical activities? Where’s the evidence that the council should pay for these specific 26. 2) The dissemination of pseudoscientific thinking to students runs counter to the purpose of public education. We are charged with producing independent citizens capable of critical thought. The Brain Gym dogma will make its way to the children through the teachers. "Brain studies show…" Teachers shouldn’t teach the scientific method in one lesson then spout pseudoscience in the next. You can follow the whole saga here. Pseudoscientific psychobabble.Theres an awful lot of it about these days. Hard evidence is whats needed not the ramblings of a company who's main aim is to make money. Scruples often go out the window when money is involved and people often start to tell downright lies. It will be interesting to see the costs that Digitalkatie has requested under FOI. I'm curious to know what it is that enables people to decide that this is the best way to invest time and money. In the apparent absence of any supporting scientific evidence, and when it's so easy to find out about the concerns, this can't be easy. It's a Brain Gym but not as we know it! Our S1s (a very mixed ability year group) do a mixture of brain gym and yoga every morning at registration with our PE teacher - it is fascinating to watch them as for 12 year olds many of them are very "unbendy" and uncoordinated. The kind of exercises they do (similar to the ones described for ADD) above are designed to help them improve coordination and concentration. Sometimes you can see the moment where concentration snaps and they can't continue the exercise. The younger primary children do a programme called Steps which I think is something similar. I attended a Brain Gym weekend some years ago, and was distinctly underwhelmed. Much of the rationale is based on the work of Roger Sperry. He won the Nobel Prize for Medicine in 1981 and even then was declaring that 'the more we learn, the more we recognise the unique complexity of any one indiviual intellect'. His work led to educationalists and bookshops being inundated with programmes and self help manuals on 'right/left brain' learning. A profitable business! 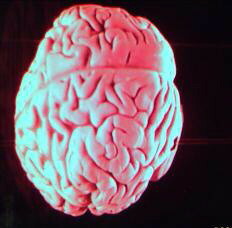 But things have altered hugely since 1981 in our knowledge and understanding of how the brain works and how we learn. The notion of cerebral dominance is only one aspect of research into brain function and the idea of 'whole brain learning' has more metaphorical than scientific value. I agree with others who have posted above about the benefits of taking a break combined with physical exercise.This can only increase concentration and focus. But buying into the whole package seems to be excessive. There is much evidence (Stein, Nicolson and Fawcett. McPhillips, Portman...) to indicate that poor laterality - connecting the 2 hemispheres of the brain - is a component in learning difficulties such as dyslexia and dyspraxia. Thus, exercises to cross the mid line of the body are likely to make some difference as the neural pathways will be strengthened across the corpus callosum. But going swimming, dancing and juggling are much more fun than these formal exercises. And these should form only a part of a programme of effective learning and teaching. Ultimately it comes down to providing a rich environment in which to learn which may include opportunities to be physically active. May I recommend Alistair Smith's book, 'The Brain's Behind it' (Network Educational Press) for a very clear and practical exploration? Not sure what you are calling "Brain Gym" but the rationale of Brain Gym that is a registered trademark in the US was not based on research of Roger Sperry but of a great variety of sources, including Doman and Delcato's work with dyslexia, findings of behavioral optometrists, yogis, acupuncturists, etc. It came out of an attempt to try anything to help kids who have learning issues. The result is a set of exercises that, done for just a few minutes, can optimize brain functions needed to facilitate rapid assimilation of new information and reeducation of the body for new tasks. I have used it for years with doctors, producers, musicians, singers, actors, students, etc. with great success. As a violin teacher -- and I think we can all agree that the violin is not an easy instrument to learn -- I found that adult amateurs who had never learned a musical instrument before and who had never learned to read music as children, could outstrip their more experienced counterparts in just 18 months or so. For a person who isn't under stress, I'm sure Brain Gym activities would be underwhelming. But try them when you just can't "get" something that is really foreign to you -- and watch it work.